Does Discounting Help or Hurt your Business? "Coupons are the crack of the restaurant business. Once you get your customers hooked on them, and not your food based on its merits, you'll never get them to break the habit. Discounting devalues your business in the eyes of the guest." "Here are a couple of quick tidbits from someone who used to share your viewpoint, but has changed their stance: 1) My average check with a coupon is higher even after the discount than my average guest check without a coupon. 2) By using direct mail with discounting my sales are up and marketing expenses are down. For those wondering what it has cost me, less than 1% in food cost." "I put out one coupon every year during our slowest month. Buy one dinner get 2nd at half price, dine-in only. It brings in heads and keeps my waitstaff happy." "Couponing and deep discounts make your product a commodity. The demand for it will be in direct proportion to the amount of discounts you make available to the crack heads you serve. Discounts and coupons are for those who either compete in a commodity venue or market - pizza - or cannot distinguish themselves enough to warrant loyal fans who rave about the experiences they have with you." "Subway has addicted my teenager and her friends to their coupons. They have always liked Subway, but now will only go when they have a coupon. I overheard them talking about where to go for lunch, and one suggested Subway. Since none of them had a coupon, they decided to go to another establishment. They hold off on Subway visits until they have coupons." "I recently did a promotion with a company that sends four color postcards to a very select group of folks based on house value and income level. I still have to sit down and analyze the true numbers, but here's what I can tell you: 1) It was not a BOGO (buy one get one free) offer - it was a graduated gift certificate that offered between $5 and $30 off non-alcoholic menu items. They had to spend at least $25 to receive any discount. The majority fell into this range, but they also bought beer, wine, apps and desserts. 2) Those who spent more ordered full course meals (and saved $12). I had multiple patrons who mentioned they had received the card but forgot to bring it. But they came anyway. So I am more inclined to consider propositions that limit the scope of recipients AND allow me the flexibility to build by own offer." Like many endeavors, some operators are staunchly in opposition to any type of discounting, while many others report positive results. The lesson to be gleaned seems to be: 1) know your market, 2) don't overdo it, 3) experiment with your tactics and 4) track your results so you KNOW what works and what doesn't. Have you tried coupons or other forms of discounting? What was your impression of the campaign's effectiveness? Please share your thoughts on our Facebook page. 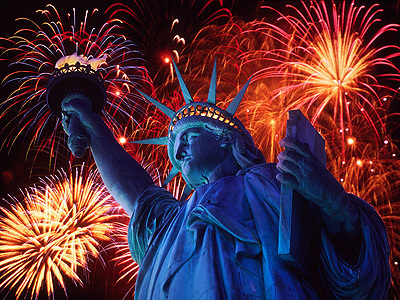 Bret Dixon Insurance will be closed this Friday, July 4th, in observance of Independence Day.